In recent days the bike manufacturers struggle hard to make something different and interesting stuffs like Victory Vision, which comes with a unique style. The body works of the vehicle is not only unique but is also very unusual compared to the normal ones. The Y shaped front portion, boarder and heavier body with quality materials has the power to astonish even the dumbest. 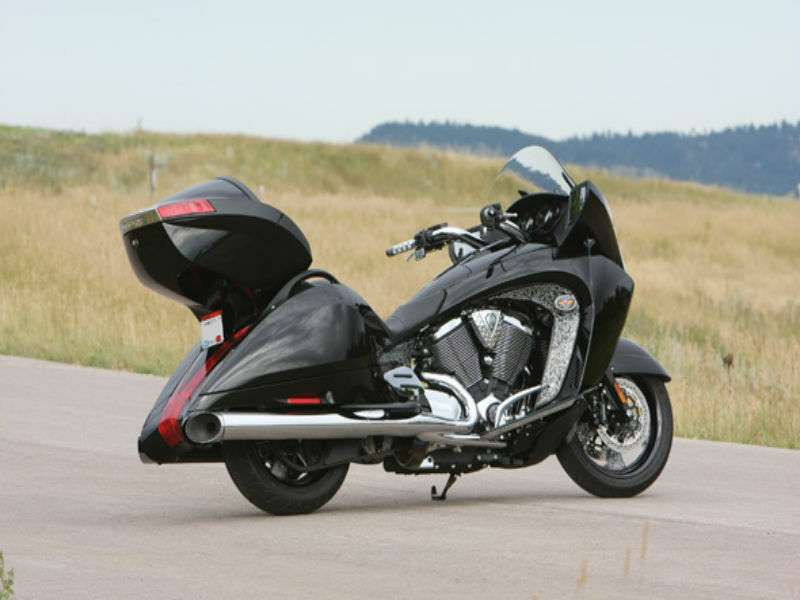 Many think that this is an ideal motorbike for touring as it comes with all the comforts and others believe that it is no less than a car but with two wheels. The touring offers a great performance and thrilling drive and this is made possible because of its powerful Freedom V-Twin engine which comes with four valves per cylinder. The motor uses the air/oil cooled technology and is properly counter balanced to reduce the vibration. The maximum power generated from this 1731 cc engine is about 97 Bhp and the highest torque achieved is 153 Nm. 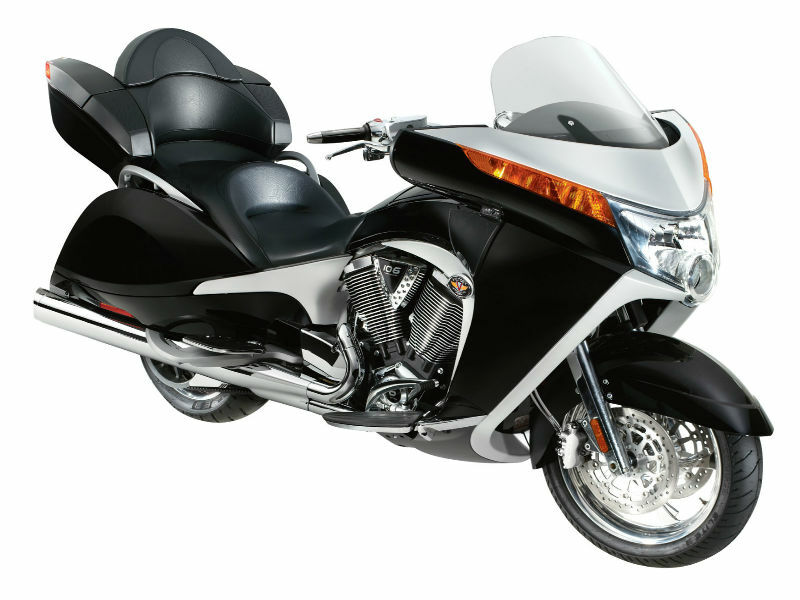 The distinctive and eye catching design of Victory Vision undoubtedly has the power to stun any passerby. The full fairing, side storage space, trunk for cargo space, comfortable seat along with passenger rest seat makes it the perfect touring motorbike. Further the electric windshield, heated handlebar, attractive instrument panel, trendy headlamp design and every other accessory looks interesting. It is not only about the looks, the comfort it adds through its seats and foot rests are simply great, thereby serving as perfect motor vehicle for long drive. Riding the premium quality touring vehicle is an all new pleasurable experience which every rider likes. 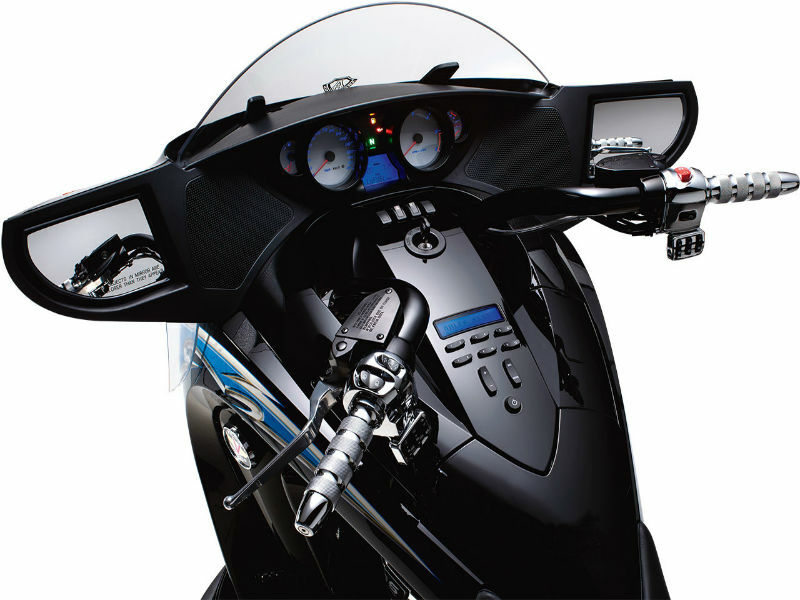 The new technology included in the motorbike adds the confidence that it provide to rider. The ABS (Anti-lock Brake System) used on the wheels senses the traction opposing the vehicle and thereby giving the alert to the brakes to slow down and effective apply the brake at the right point of time. The cruise control option available is other major advantage because once activated it maintains the automatically maintains the desire speed that is perfect for the road. The de-activate or off button of the cruise control helps to manage the speed manual. The motorbike is expected to give a descent mileage but the exact figure is yet to be known. The ex- showroom price of this stunning vehicle is close to Rs. 20,00,000. Colors available with this are Sunset Red & Black w/ Black Carbon Graphics, Bronze Mist & Sandstone Metallic and Solid Black.